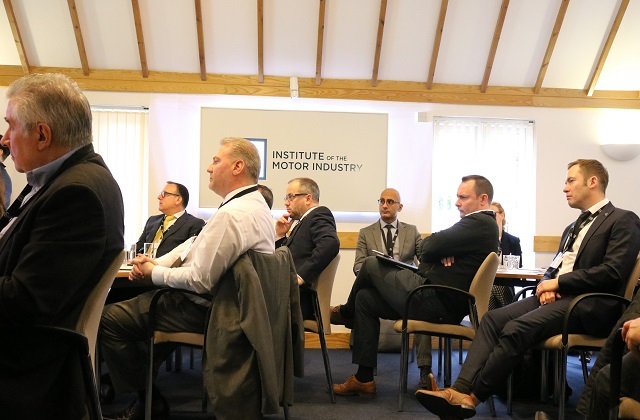 Motor industry body, Institute of the Motor Industry (IMI), hosted an Electric Vehicle Advisory Group meeting yesterday (Tuesday 5th February). The forum with cross-industry experts was designed to begin the process of agreeing appropriate Professional Standards dedicated to protecting technicians working on electric and hybrid vehicles. “There is a real imperative for accepted sector-wide EV Professional Standards before we ‘cross the chasm’ from early-adopters to the majority of consumers embracing EV’s in the 2020’s. The IMI is pro-actively developing EV Professional Standards based around existing EV qualifications, IMI Accreditation or accredited training; its code of professional behaviours, and a commitment to Continual Professional Development (CPD). “I think an Electrified Vehicle Standard would be a good thing because then we can be measured against something, and at the moment as we're unregulated everything is done internally in the motor trade, voluntary or not. We need something with a little bit of substance to add weight and credibility to consumers. “Technology is always evolving, especially in the last 10-15 years, so as a garage owner it's very important to look at your business plan and strategy for the next 3 to 5 years. Having said that, we mustn’t all run to train all the staff and buy all the equipment, you really must carry out a business plan based around your demographics of where you are. It is important and it's something to be aware of, but there should be some caution as well.